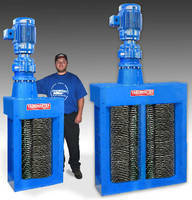 Twin-Shaft Channel Grinder employs submersible motors. Featuring cutting chambers optimized for handling bulky solids, TASKMASTERÂ® TITAN (TM22000) has low headloss design and employs 2 counter-rotating shafts. One cutter stack intermeshes with second of greater diameter, promoting efficient feeding, reducing bulky solids, and helping flow pass through freely. Machine is also available as TITAN DUPLEX, featuring 2X cutting area, 10 hp motor, and cycloidal gear drive. 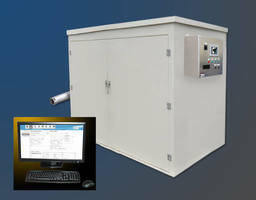 PLC-driven S260 automatic reversing control system is also included. 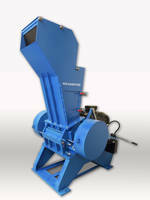 The TASKMASTER TITAN (TM 22000) is another giant step up in twin shaft channel grinding technology. This behemoth features super-heavy construction for the toughest application requirements. 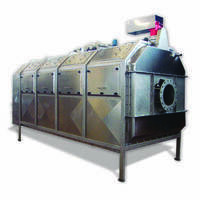 In addition, it features large cutting chambers capable of handling large, bulky solids, high flow capacity and proven TITAN low headloss design. 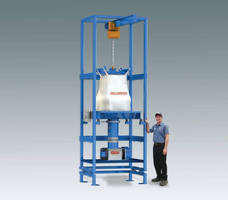 The result is superior performance in both grinding and liquid handling. The TITAN provides up to ten times the cutting surface of competing units for superior longevity and performance. The TM22000 employs two counter-rotating shafts with one cutter stack intermeshing with a second one with a greater diameter. 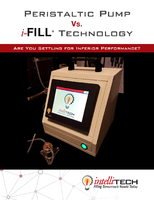 This innovative design provides more efficient feeding and reduction of bulky solids and allows greater flow to pass through freely. 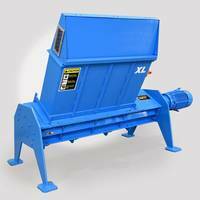 The finely ground output provides excellent protection of pumps, filter presses and other downstream equipment. With its massive array of cutting surfaces, cutter life and unit strength are enhanced. The TITAN TM22000 is available as a TITAN DUPLEX featuring twice the cutting area for higher flow and wider channel applications. The units feature a powerful 10hp motor and cycloidal gear drive. They are provided with a PLC driven S260 automatic reversing control system as well as true submersible explosion proof motors that can operate continuously submerged.